Works by Women seeks part-time interns for the Summer, Fall, and Spring. Hiring times may be flexible. As of late August 2015, we are looking for a design intern. See our listing on Playbill HERE. The best way to stay posted about when we are seeking to hire and how to submit is to follow us on social media or check back on this page regularly! Intern with Works by Women! 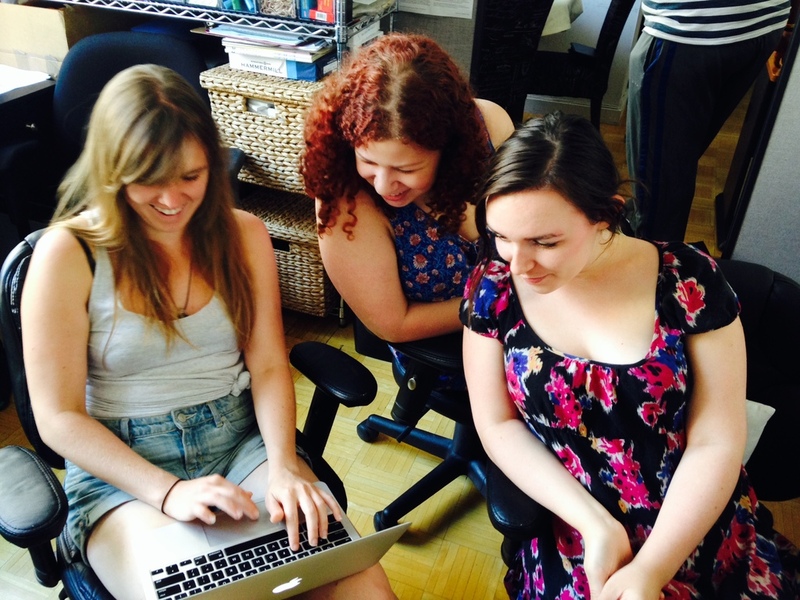 Works by Women is committed to fostering the growth of early career theatre artists! In this spirit, several intern/ apprentice positions are available within the company on an ongoing basis. These are invaluable opportunities to increase knowledge of and involvement in the NYC theatre community, learn the ins and outs of theatre advocacy, and contribute to the advancement of women in the theatre. *Interns will provide administrative support for Works by Women, including but not limited to data-entry, communication, and organizational support. *We are especially interested in applicants with experience in basic film editing, graphic design, fundraising, social media, or theatrical production. *Intern must have an interest in and knowledge of the NYC theatre-scene. The ideal candidate must also be self-motivated, well-organized, have a creative eye and aesthetic awareness, and be passionate about supporting women in the theatre business.